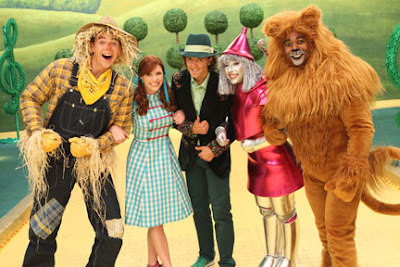 The Wizard of Oz is one of those timeless stories that often get retold from generation to generation. On Tuesday August 14th, the story will get a fun, new revision with the release of Nickelodeon Fresh Beat Band:The Wizard Song on DVD. The Fresh Beats band finds themselves in a strange new world filled with Juniorkins and a pair of witches of which the bad one craves Marina’s shoes. On Marina's journey back home she meets a cast of extraordinary characters, scarecrow, a tin woman and a lion all with unique sets of problems. As they sing and dance their way down the yellow brick road they discover who they really are.